Camp Southern Ground announces the completion of the Peterson Dining Hall, designed by Perkins + Will, with construction by DPR and Structor Group. This marks the completion of a signature component of the build-out on the growing campus. 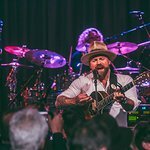 Camp Southern Ground is located on over 400 acres in Fayetteville, Georgia, and is the non-profit passion project of three time GRAMMY Award-winning artist Zac Brown of the Zac Brown Band. Inspired by his own experience as a camp counselor, Zac’s vision is to create a state-of-the-art facility that is more than the typical camp experience. Camp Southern Ground’s mission is to provide extraordinary experiences for children to recognize and magnify the unique gifts within themselves and others to profoundly impact the world. While at camp there will be activities to challenge, educate and inspire campers, with a special emphasis on children with Autism Spectrum Disorder (ASD), learning and attention issues like ADD, ADHD and Dyslexia, social or emotional challenges, and those with family members serving in the military. 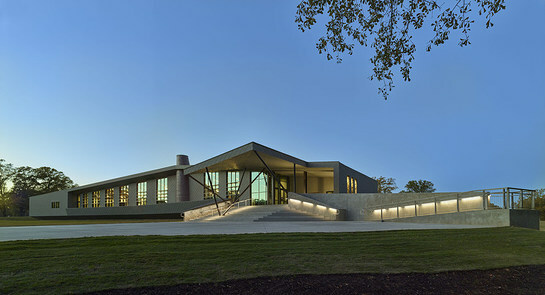 Located in the center of the campus, the Peterson Dining Hall was tasked with being the heart of Camp Southern Ground. “Peterson Dining Hall is the heart of Camp like the kitchen is the heart of Home. Zac told us that he wanted an iconic building unlike any other, as the centerpiece of Camp – a building that signals to the kids upon arrival that they are in a unique and special place transcending everyday experiences,” says Chris Sciarrone of Perkins + Will. As the first major build-out to the campus, Camp Southern Ground can now begin work towards completion of more projects to prepare for a Summer 2018 opening. “We are thrilled to have the Peterson Dining Hall completed. It is a major functional component of our camp programs and really sets the tone for architectural design, construction quality and sustainability. Now, having the dining hall completed, this puts us one step closer to being able to open for week long, overnight camps which is slated for summer of 2018,” said Mike Dobbs, President and CEO of Camp Southern Ground. The Peterson Dining Hall includes some very special features and is comprised of materials in which the majority was sourced locally. The ceiling is also made from sustainably harvested Mahogany wood donated by Bob Taylor of Taylor Guitars, and the focal point of the dining hall is the 26-foot-high brick fireplace. The state-of-the-art dining hall will serve up to 300 campers plus 150 counselors, staff and volunteers during the summer camping sessions, and has the capacity to serve well over 400 for special events, meetings and conventions in the off season. The structure is not only a modern work of art, but its sustainable features and architectural innovations will enhance energy efficiency as well as support the mission of the camp’s certified organic farm and nutritional education. For instance, from the geothermal system that will heat and cool the building, to the natural zinc building envelope, and the low energy, renewable building materials, this building will save more energy over time. An example of its design innovation is seen in the custom grinder and extractor which converts as much food waste as possible from the kitchen into compost for the farm, while minimizing what goes to the landfill. The Peterson Dining Hall is available to rent for special events and conventions. For more information please contact booking@campsouthernground.org. Camp Southern Ground is currently in its second phase of fundraising. To learn more or to donate please visit campsouthernground.org.